Popping carries a certain anticipation with it. Whether it be bubble wrap or your first girlfriend, the anticipation is often times more pleasurable than the release. 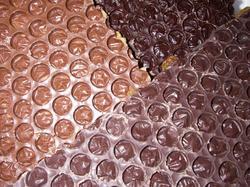 Claiming to be equally as addictive as bubble wrap, a San Francisco boutique has crafted chocolate bubble wrap. While it may not pose as a swallowing hazard to children, of-age oral sensations should always be under close supervision. The DeLessio market and bakery opens wide with a variety of chocolate mixtures for the tasting. Unfortunately, it looks as if they don't ship their products nationally. 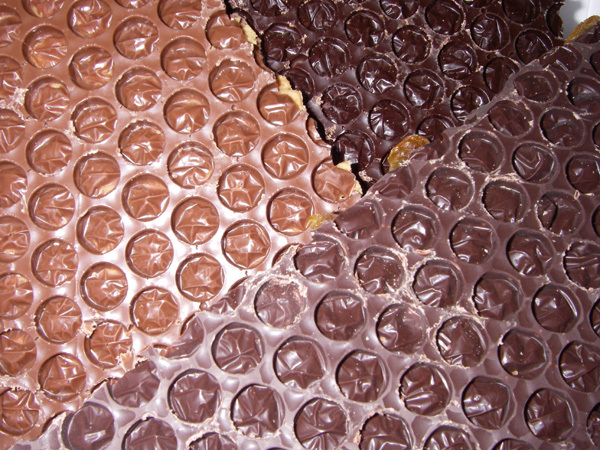 What would be more delicious than a chocolate bubble-wrapped package at your door?